An environmental intervention project at the Goethe Institut São Paulo central green urban area that explores the contemporary city transformation by artistic and cultural techniques. 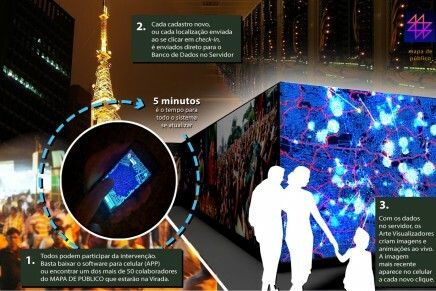 Art and technology intervention mixing GPS Art, urban intervention with an open source statement, this project took over São Paulo down town with multimedia tote and thousands of cellphone participants. 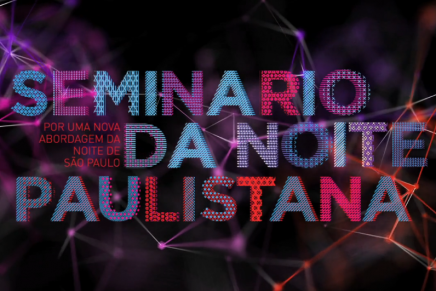 Night Manifest – seminar to a 24h Sao Paulo. 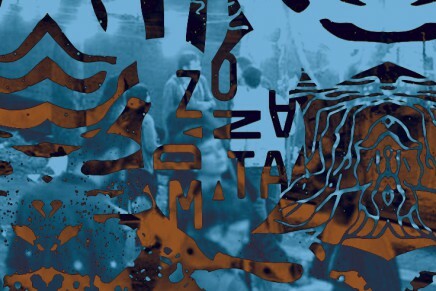 Together with nightlife wise thinkers, artists, citizens, businessman and workers, composing a manifest for a 24h city.